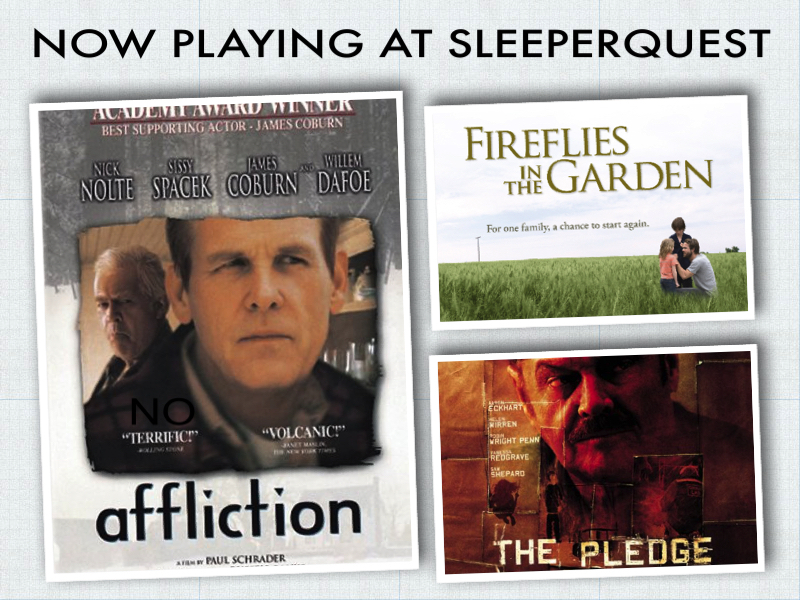 Affliction was added to SleeperQuest favorites from 1997. Detective Jerry Black has made a promise he can’t break, to catch a killer he can’t find. This entry was posted in 1997, Affliction and tagged 1997, Affliction. Bookmark the permalink.